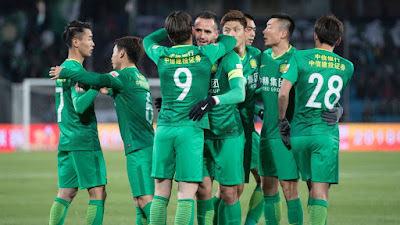 Beijing Guoan beat Guangzhou R&F 5-1 in the CFA cup semi final to all but confirm their place in the final where they will face Dalian or Shandong Luneng. The 5-1 scoreline means that R&F now need to win by 5 clear goals in the return leg. It is unlikely that R&F will be capable of pulling the game back and are likely to only be playing for pride in the second leg. With them already 5-1 down, they wouldn’t want to face another huge defeat and lose 10 or 11 – 1 on aggregate otherwise it would be humiliating. Cedric Bakambu has been lethal since his move to China, he plonks the ball in the back of the net most weeks that Beijing Guoan have a game and the cup semi was no different. Getting himself on the scoresheet again with another two goals, both of them created by his pace which is what got him noticed in Europe in the first place. 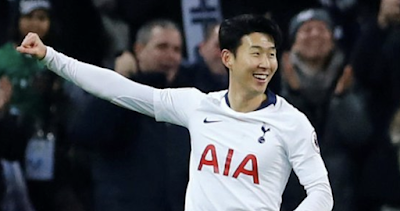 Even though he’s got blistering pace he shows great composure to still score, and that is why he has so many goals to his name in China already – blistering pace and composure. The foreigners Guoan have brought in have proved excellent business, because they have in the main all performed very well this season. Another one of their recent signings Jonathan Viera also scored two goals, one of them being a majestic freekick. Viera and Bakambu have struck up an excellent partnership and this is helping Beijing Guoan have an excellent season so far as they target winning a league and cup double with them still being in the mix for the Chinese Super League titleand the CFA Cup. Shandong Luneng got a good result in their first leg game away at Dalian Yifang, even though Yifang are battling relegation they have been resurgent since they changed their manager and look like they might even battle of relegation which seemed impossible after the start of the season they had. With Shandong holding a 1 goal lead from the first leg where they played away, we believe that Shandong Luneng will be standing between Beijing Guoan and winning the CFA Cup. It should prove to be a great final if those two teams get there because both of them are battling it out for the Chinese Super League title with Shanghai SIPG and Guangzhou Evergrande in a four way title battle. The second legs of the CFA Cup will be played on the 25th and 26th September.